Data integrity issues are very common in FDA inspections for Indian pharmaceutical companies and solutions to prevent the issuance of warning letters. Maintenance of original raw data is a prime responsibility of all pharmaceutical manufacturing units. Data integrity is to maintain the data securely so that only authorized person can edit or delete and changelog must be created for all users. FDA issued seven warning letters related to data integrity issues in 2014. It is a mandatory requirement of the FDA to maintain the electronic data securely. These days FDA is issuing a lot of warning letters on data integrity issues and companies are unable to maintain the integrity of their data mainly in quality control. Most of the FDA warning letters and form 483 are issued for failure in data integrity of quality control instruments. 1. Backup of Data: In some companies, FDA found that they do not have the facility of data backup and restore. 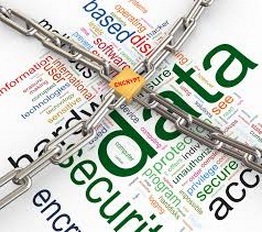 FDA says that all electronic data should be secured and backup should be taken periodically. Backup data should not be stored in a computer connected to the instrument but it should be stored on the server to make it secure. Data can be stored in the form of CDs or DVDs to make it more secure. 2. Sharing Login IDs: It is seen in many quality control laboratories that some analysts share their login IDs with other analysts. It mixes the work done by the analysts and the analysis done by the individual analyst cannot be identified. FDA doesn’t allow it and rights about it in questions and answers. 3. Audit Trail: In some companies, audit trail function is found in some instruments like HPLC, GC, Spectrophotometer etc. but remains disabled. The audit trail must be active in all instruments those generates electronic data. 21 CFR Part 11 describes details about the audit trail and digital signatures. 4. User Access Rights: Some analysts in quality control have rights to access the analytical data and they can edit or delete it. It is unacceptable to the FDA because analyst can alter the results of the analyzed products. Access rights to delete data should be given to the data reviewer only. Results of any faulty batch or reanalysis must not be deleted from the system. Everything done on the instrument should be available in instrument log. Analysts should also not have the rights to change the system date and time. I think this is the time to improve the quality of the inspections of Indian pharmaceutical authorities because domestic product manufacturing companies face difficulties when they go for an FDA inspection. It will harm Indian pharmaceutical export in future because Indian facilities are being warned and banned by FDA. I invite your views in the comment box on the reasons due to which these top Indian pharmaceutical companies are facing the data integrity issues during the FDA inspections.